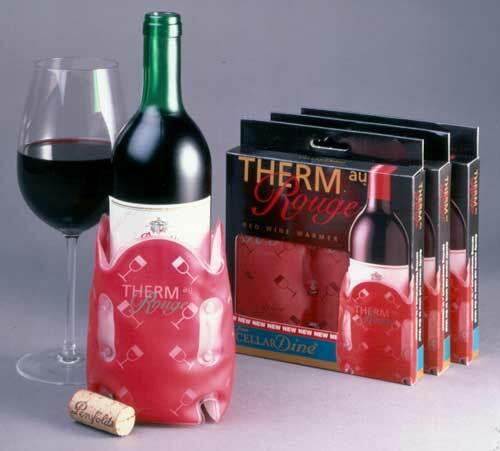 Therm au rouge is the wine warmer sleeve created to bring red wine to the best drinking temperature, at the correct rate of heating. Twiddle the metal button to start the gentle warming. Twiddle with something else for five minutes. Enjoy your beautifully conditioned red wine at the recommended serving temperature. Reset gel sleeve by simmering in water. Created in consultation with wine experts. Therm au Rouge text, images and video are copyright.